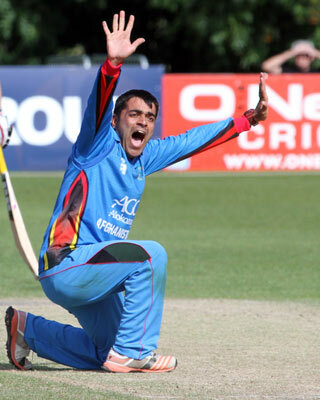 Afghan leg-spinner Rashid Khan will be reunited with his coach at Adelaide Jason Gillespie for the 2018 T20 Blast. Speaking to the Sussex website Khan said: “I am delighted to have signed for Sussex for part of the T20 Blast. “It has always been an ambition of mine to play county cricket and the fact I get to link up again with Dizzy [Sussex Head Coach, Jason Gillespie] is very exciting. Khan has become one of the most sought after players in the T20 format, and was signed for close to a million pounds at the recent IPL auction. He has also played for sides in the Caribbean Premier League, Bangladesh Premier League and Australia’s Big Bash League (BBL), where he was the joint leading wicket-taker. New Sussex coach Jason Gillespie was ecstatic at capturing the talented teenager for the first half of the campaign. “We are delighted that Rash has agreed to join us at Sussex. “His form for Afghanistan and the T20 teams he has played for over the last couple of years has been phenomenal. I have worked closely with Rash at the Adelaide Strikers in the BBL and have been incredibly impressed with his attitude, work ethic and team-first mentality. He was named the ICC Associate Cricketer of the Year earlier this month, and is currently second in the ICC’s T20I bowling rankings.